Self Help – Independence can be tough for some students, especially if they have problems with speech. These buzzers enable students to work on their own, but indicate to a teacher if and when they need help. Language – A perfect tool for your quieter students. 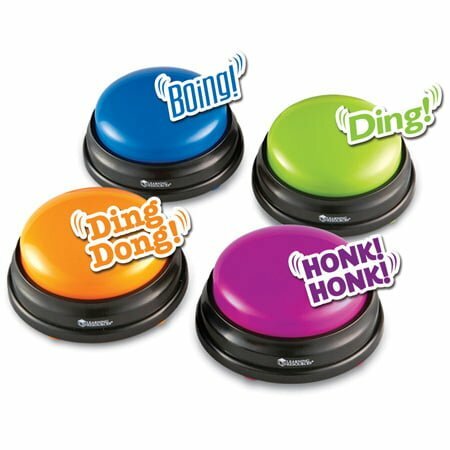 Buzzers are loud enough to get the attention of the class. Then the student can verbally answer the question or voice an opinion, gaining confidence in speaking in front of others.